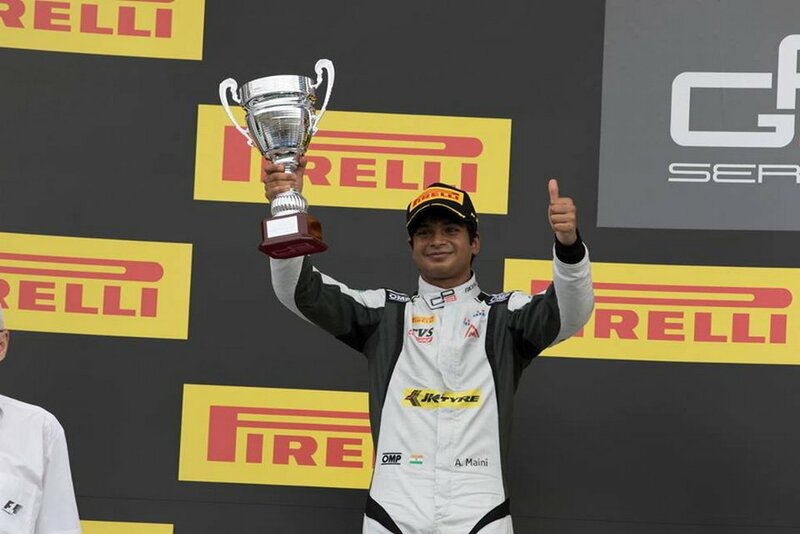 Indian racing driver Arjun Maini secured his maiden podium at the Hungary round of GP3 in Budapest. At the legendary Hungaroring circuit, the 18-year-old made history by standing as the first Indian ever to be on the second step of the podium. 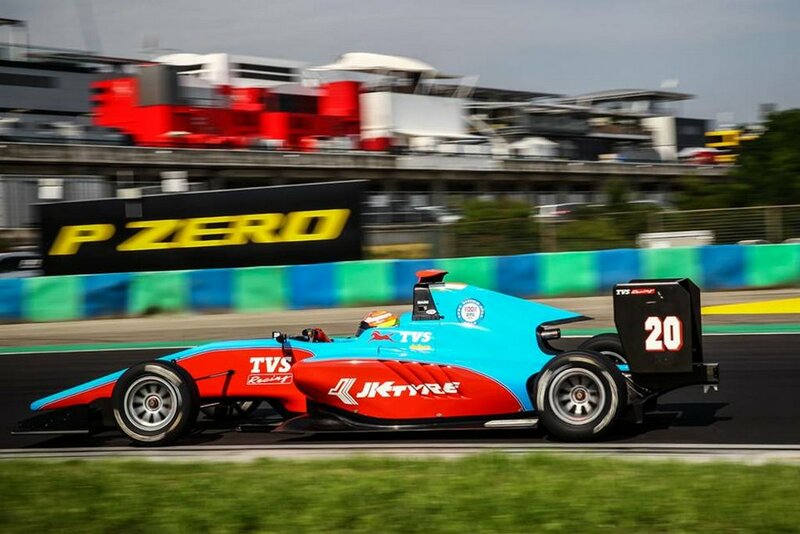 Maini replaced Oscar Tunjo in the Jenzer Motorsport GP3 team and claimed a points finish in his first outing as he ended up eighth in the feature race. Maini, who is supported by TVS Motorcycles and JK Tyre, got in the groove during free practice session at Hungary having got used to the car in Silverstone the previous race. He finished tenth in Hungarian Grand Prix practice session with a best lap of 1:33.873. It gave him confidence to enter qualifying which resulted in ninth position having had the time of 1:33.874 as the best lap after the session red-flagged due to an unexpected stoppage of Campos Racing car at Turn 7. During race one, Maini quickly moved up to eighth position which gave him the reverse grid pole for the second race. He came home eighth and ensured than position with the best lap of 1:36.844. The second race started with Alexander Albon of ART Grand Prix getting past Arjun Maini in the very first corner of the first lap but after a superlative driving he managed to fend off Charles Leclerc who is leading the championship and at the chequered flag finished second. 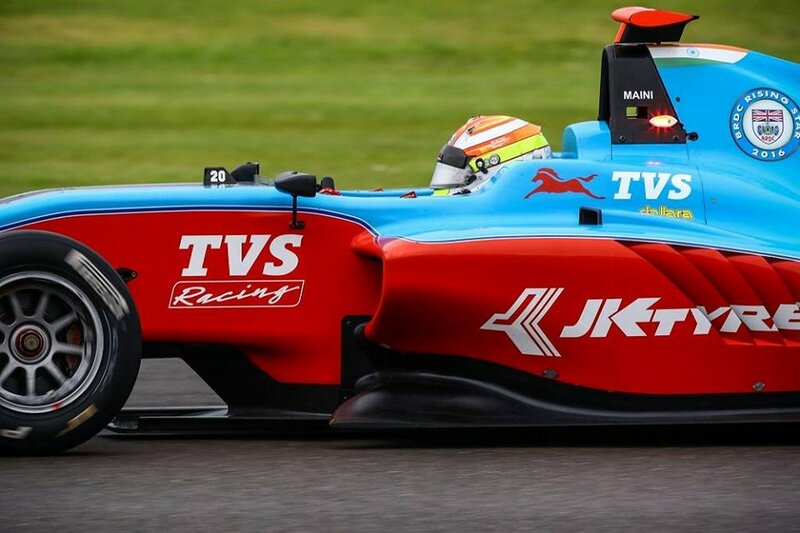 Following his podium, TVS Motor Company has announced yesterday that it will be supporting Arjun Maini and has signed a long term sponsorship deal for the youngster. Arjun began his professional racing career in motorsports in 2006 via karting. He clinched his first race in September 2007 and became the MRF MAII Rotax Mini Max National Champion the same year. He started car racing three years back and quickly climbed up the ladder. He was very successful in the Asia Cup Series and JK Racing India Series and in 2014 he finished runner up in the ultra competitive BRDC Formula 4 championship.